Avi is an acclaimed and prolific writer for young children. He has written over 60 books in numerous different genres for different ages and ability levels. His life began in Brooklyn, New York in 1937 along with his twin sister, Emily. He was born Edward Irving Wortis and got the name Avi from his twins' attempts at pronouncing his name. Eventually, it would become his pen name and the only name he would use. Avi's father was a doctor and his mother a social worker and the entire family was very reading and writing centered. As a young student, Avi was talented in science and terrible in writing. His teachers would write on his papers that his writing was sloppy and unedited and that he should invest more time and care in his work. In interviews, Avi has discussed this problem which was later determined to be symptoms of dyslexia and the effect that the disability had on his thoughts about writing as a child. Even though Avi dealt with such a difficult disability he still loved and appreciated reading and writing. For almost every birthday and holiday Avi would receive books which he would rapidly devour and use to improve his own writing. Avi has been quoted as saying that, "I believe reading is the key to writing. The more you read, the better your writing can be." Avi's love of reading served him well as he was a shy child without much interest in sports. When he was a high school senior he made the decision to become a writer and he has given a few different reasons for this. He says that his desire to write began because writing was important to his friends, family and school and eventually it became important to him. He also wanted to prove that he could write even with his disability. As Avi grew older his love for writing grew as well. Though he did not take many english courses in college he did continue writing and even entered playwriting contests, one of which he won. His play was published and the University of Wisconson staged a production of it, so at just twenty-two years old Avi was a published playwright and on his way to becoming a writer. Avi had intended to become a playwright in Los Angeles until his first son, Shaun was born and Avi's path changed. Avi was approached by a friend to illustrate one of her children's books. His illustrations put him in contact with a publisher for whom he compiled bedtime stories he had told his son, into a book. The book, Things That Sometimes Happen was published in 1970, fifteen years after Avi had decided to become a writer and it marked the end of his days as a playwright and the beginning of his many years as an author for young people. 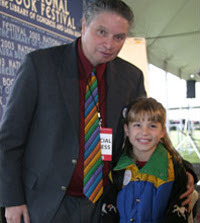 Throughout his career Avi has met and interacted with many other authors including Jerry Spinelli, Betty Miles, and Natalie Babbitt. He was also the basis for the character Irvy in Betty Bao Lord's book In the Year of the Boar and Jackie Robinson. In 1991, Avi's book The True Confessions of Charlotte Doyle was named a Newberry Honor Book and the next year Nothing but the Truth was named as well. In 2003, Avi's fiftieth book, Crispin: The Cross of Lead was awarded the Newberry Medal. 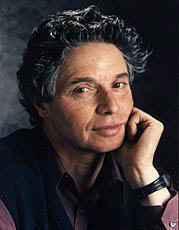 Avi has continued writing books for young people with his most recent book The Traitor's Gate being published in May of 2007. Avi also spends his time, when he is not at home in Denver, Colorado with his family, touring schools to talk to students about reading and writing and to talk to teachers about teaching writing. Visit his website for more information about the books he has written in his career and Reading Rockets for some interview clips.